Katrina Kaif opposite Kamal Haasan? The multi-million rupee Tamil film industry seems to be on the verge of a crisis with wage revision turning out to be a flash point between unions of producers and workers. Peeved over the 'unilateral decision' of the workers' body Film Employees Federation of South India (FEFSI) on revising the wage structure, the Tamil Film Producers' Council (TFPC) has ruled out working with them. While a strike paralysing the industry boasting some of the biggest names of Indian cinema, including actors Rajinikanth and Kamal Haasan is not in the offing, FEFSI has however decided to take to the streets by organising a fast, sources said. 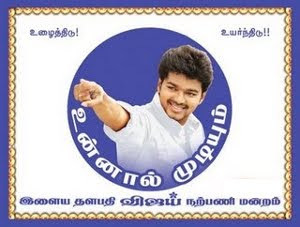 Sources indicated that not much production activity took place last week, with TFPC convening an emergency meeting of its general council to discuss the issue on Monday, even as it held that it could not negotiate with FEFSI due to elections to the body and change of guard. While wage revision had been happening once in three years for the past few years, it did not happen last year with the expiry of the latest scale in early 2011. However, FEFSI went ahead and announced a scale, which is now the bone of contention between the two bodies. "Agreement on payscale is usually signed after discussions with both parties and this time FEFSI's unilateral decision was against normal practice," TFPC sources said. However, a FEFSI office-bearer said the demand to increase pay by 30-50 per cent was the general scale proposed. Noted director Cheran, known for critically acclaimed films like 'Autograph', batted for producers, saying it was 'unfair' of the workers to demand a 100 per cent hike when investing on films had become a 'gamble'. "A director or a cinematographer receives wages only according to the budget of the film. But for the workers, the scale is constant, irrespective of investment made into the film, whether shot on Rs 100 crore or made on a shoe-string budget," he added. The move would only further worsen the industry, where successful films are becoming fewer and filmmaking itself is a big challenge, Cheran added. Even a talented, tech-savvy film-maker has to shell out more if he abides by FEFSI rules, though he can manage to complete his films within a few lakhs of rupees, he claimed. Meanwhile, the eternal demand of top stars reducing their salaries has also come up once again from some sections. Many of the major actors are paid in crores besides some being given rights to the film in some areas. 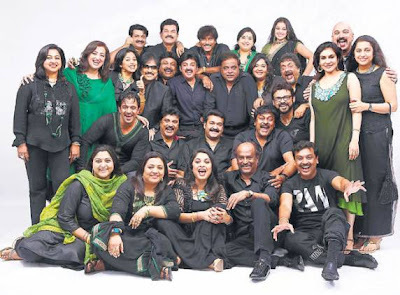 A strike by the FEFSI a few years ago had paralysed the Tamil film industry. Even though Bollywood beauty Katrina Kaif is yet to be officially announced as the heroine in Rajinikanth-starrer Kochadaiyaan, now there's speculation in the media that the Chikni Chameli girl will share space with none other than iconic actor Kamal Haasan. According to sources in tinsel town, the actress has been approached by Aascar Films for their next venture with Kamal Haasan. This film is touted to be a big budget bonanza. Aascar Ravichandran is making all efforts to rope in a star filmmaker known for his grandeur to direct Kamal. There's also some buzz that there may be one more heroine in the movie apart from Katrina. However when DC contacted Ravichandran, he did not deny the reports but said, "It's all in the initial stages. We are planning to bring Katrina Kaif on board. Nothing has been finalised." With two helicopters in the air, moving clouds and a beefy Salman Khan sporting a swaying scarf, Yash Raj films released a one-of-its-kind digital poster for Ek Tha Tiger late last year. 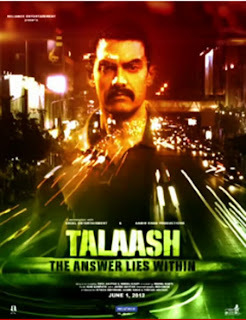 Now, Aamir Khan, reportedly impressed by the cool technology, followed suit with the release of the digital poster of his new flick Talaash. The digital poster of the film has Aamir sporting his latest mustached look as the backdrop to a fast-paced bustling city life and a mysterious tagline of 'The Answer Lies Within'. After the astounding success of Kolaveri, filmmakers and marketing gurus seemed to have realised the potential of online media. In an industry where budget is a matter of little concern, digital posters could be the next best thing to unveil the first look of a film. While Kollywood is yet to have its first digital poster, rumours have it that it won't be very long before the digital posters of the much-anticipated Kochadaiyaan hit the online world. Says ad filmmaker and TV producer, P. Praveen, "Digital posters is a trend that is yet to take off in Kollywood. But it is visible on a number of film websites, that use a little bit of flash animation to give new releases that edge. While Kollywood may be yet to see its first digital poster, those here affirm that it's an idea they are willing to try. Director and cinematographer, K.V. Anand, who is currently busy with his next flick, Maatran starring Suriya, says, "Publicity for the film is yet to start, but digital posters is something we'd like to consider. These are days where posters can't be stuck on the road and most have realised the target audience leads an active life online. Traditional methods for advertising aren't sufficient and the target audience needs to be reached via YouTube, Facebook or Twitter." Actor Ganesh Venkataraman, who looks forward to the release of his Pani Thuli, feels that with actors and producers going all out to promote a film these days, digital posters is an innovation that deserves to be embraced. "I've seen digital posters and find them interesting. This is an information age and a move-over from traditional methods is but necessary. We understand the relevance of the Internet and unique methods need to employed to tap into this market."